I love a good motivational/self-help book. I’m reading more than ever at the moment, so I thought I’d start a new series here on my blog of speedy, condensed reviews on books that I’ve finished. My most recent book to finish (who else loves that satisfying feeling of reading the last page of a book?!) 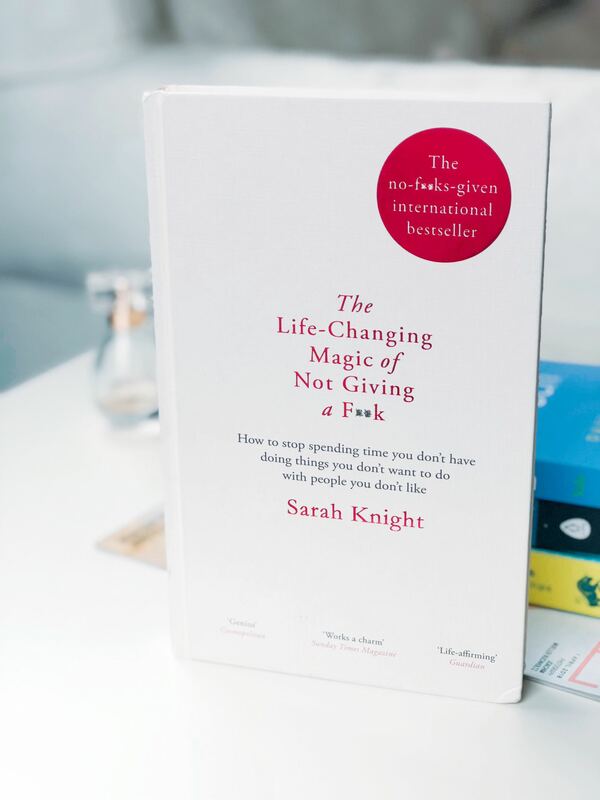 was ‘The life-changing magic of not giving a f**k‘ by Sarah Knight. Written by Knight, a freelance writer and editor, the book is all about getting rid of your mental clutter for good. Firstly, I was so pleased to find this was a homage to the original Marie Kondo book, The Life Changing Magic of Tidying. Given the title, I was worried it would make a joke of the book which I do rate pretty highly – my socks and t-shirts are still rolled in the Mari Kondo method which is proof that the art of tidying really did work for me. 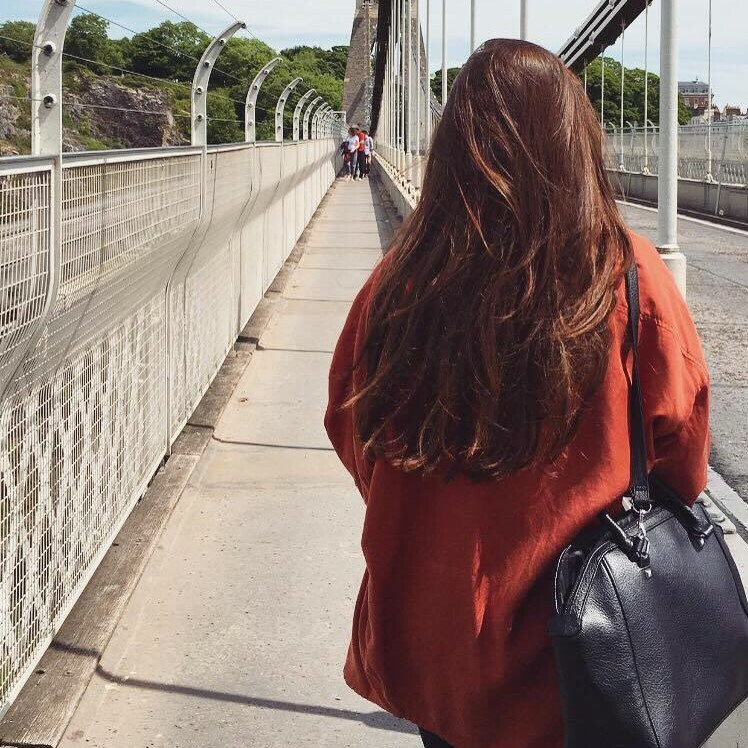 Knight was inspired by Kondo’s tidying and took it to the next level – decluttering her mind and stopping worrying. Secondly, I’ll add that if you are easily offended or really dislike the ‘f’ word, this book isn’t for you – it’s written in almost every sentence. I thought this would really start to annoy me, but I forgot about it after a while. It’s definitely a certain style of writing! So what did I think of the book? It’s really easy to read. I read the book in about 3 separate sittings – but you could easily sit down and enjoy it all in one go. The sections are split into the different things you should/should not care about, such as work meetings, friends, family etc. so you could always dip in if you needed some advice for worrying less about a wedding invite, to give just one example. Reading this book made me realise that I’m already pretty good at saying no to things I don’t want to do – which was a nice realisation to come to. A night out in a club? No way – not my cup of tea – and I won’t put myself through the stress of worrying about it just to join in. I took the example given about not caring for the environment to be a little brutal – we should all care about the environment, no excuses really. Apart from that, the book seemed to be filled with sensible advice. Perfect for if you feel like you are saying yes to everything and life is getting out of hand. As with any self-help book, take what you need from it. I’ve learnt some good lessons from the book, especially making a list of the things you really do care most about, then spending more time on those things. On to the next book! Any self-help books you’d recommend?